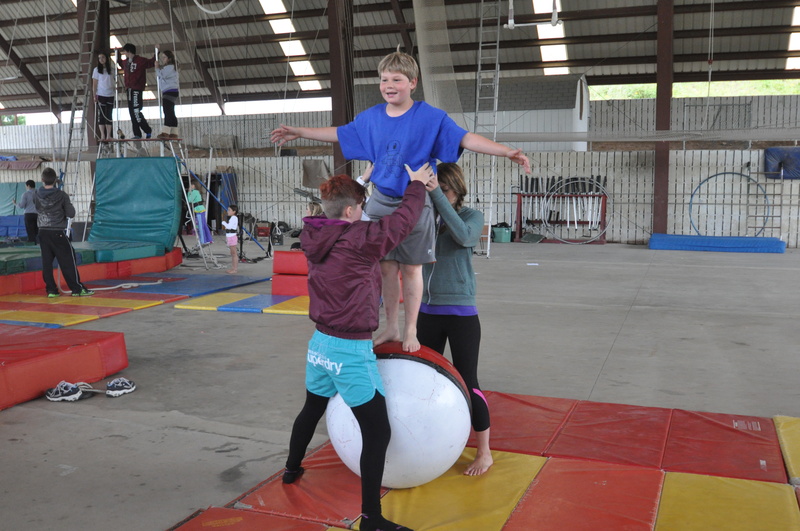 Besides the flying trapeze that I told you about before, we worked on a lot of other things at French Woods. For instance, I went to the Maroon 5 Rock Shop — a really cool place that the band Maroon 5 gave to the camp because they met each other when they all went to summer camp there — for guitar lessons. I can play Iron Man on the electric guitar now! We also went horseback riding, swimming, silk screened T-shirts, and played tennis. But the most fun for me was circus. 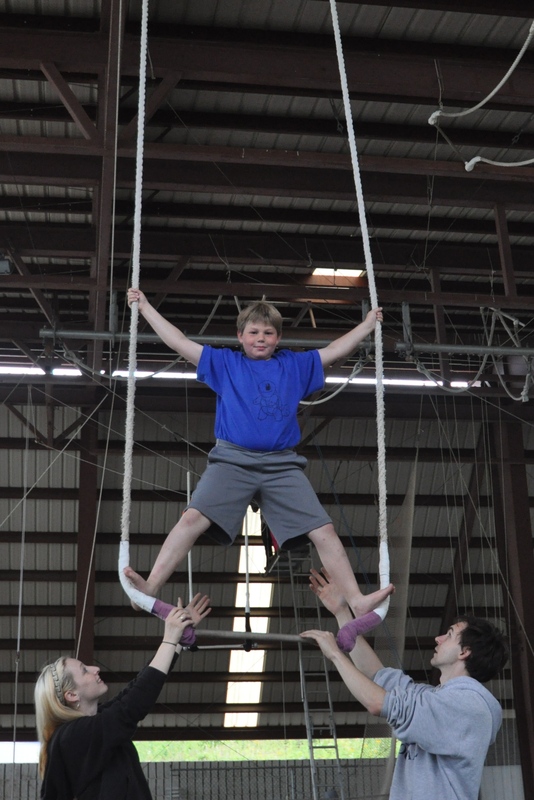 A lot of the things we did there were stuff I’d done before, like the stationary trapeze, juggling, and rolla-bolla. But some of it was new. I’d never been in the cargo net before. 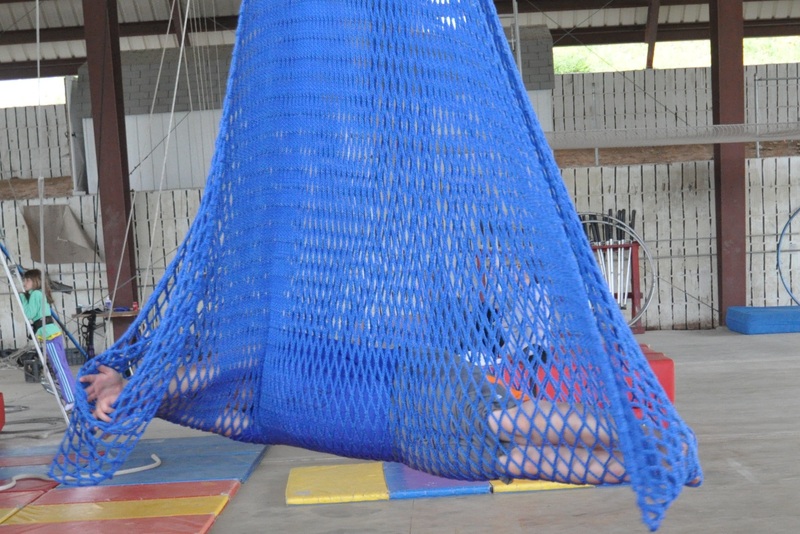 You can’t really see me, but that’s me in the blue net doing a “fishtail”. It looks pretty cool under the right light, when everyone is way up high moving with the music, I think. I also worked on balancing on the ball. A lot of the girls at Lone Star do this, and they look really cool. Georgia makes it look easy, but it isn’t. Not really. I was glad I had a spotter!